Born: March 18, 1837, in Caldwell, New Jersey... "What is the use of being elected or re-elected unless you stand for something?" The first Democrat elected president since the Civil War, Grover Cleveland stood for probity, self-sufficiency and fiscal conservatism. He considered the presidency a check on abuses by Congress and vetoed 414 bills in his first term. The only president to serve two non-consecutive terms, Cleveland's second term coincided with a financial depression, the Panic of 1893... Died: June 24, 1908. Cleveland's legacy developed less from any policy advocacy than from his principled rejection of special interest legislation. He vetoed veterans' claims that he believed fraudulent, as well as a bill to provide drought relief out west, because he believed a social welfare state was against American ideals. He did push for tariff reduction, but was blocked by Congress. In his second term, Cleveland authorized the use of federal troops to break up the Pullman workers' strike in Chicago -- his actions alienated the unions. Faced with a depression, Cleveland still refused to grant government aid. Instead he set about putting the federal government's financial house in order. 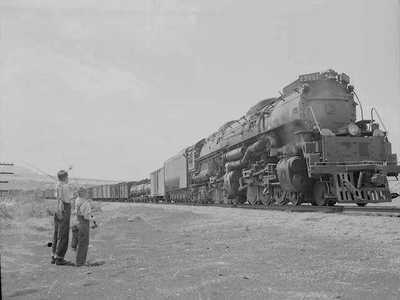 He repealed the Sherman Silver Purchase Act and returned to a gold standard for U.S. currency. The subsequent run on government gold required that the government borrow from the New York financier J. P. Morgan. Cleveland shunned foreign entanglements and imperial ambitions. Revolutions in both Hawaii and Cuba seemed to require a response by the president but he chose not to acknowledge either, leaving those issues to his successors. Most significantly, when Venezuela requested American mediation of a border dispute with Great Britain, Cleveland sent warships to South America to compel the British to accept arbitration. This was seen as consistent with the Monroe doctrine. 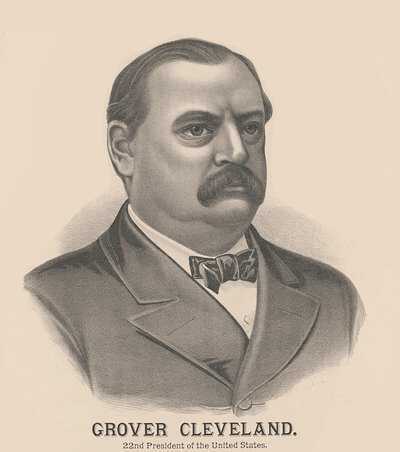 Grover Cleveland ran for president three times, each time winning the popular plurality. His opponent in 1884, James Blaine, was tarred with financial impropriety and anti-Catholicism whereas Cleveland was forced to admit that he may have fathered a child out of wedlock. In 1888, the electoral college favored Banjamin Harrison — Cleveland lost his home state of New York by a slim margin, possibly a manufacturing state's response to his hatred of tariffs. Cleveland spent four years as a private citizen in New York City and then returned to beat Harrison in 1892. 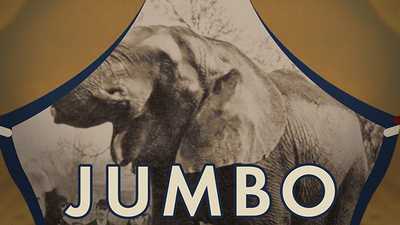 The sale of Jumbo the African elephant to P.T. Barnum by the London Zoological Society caused an uproar in England.